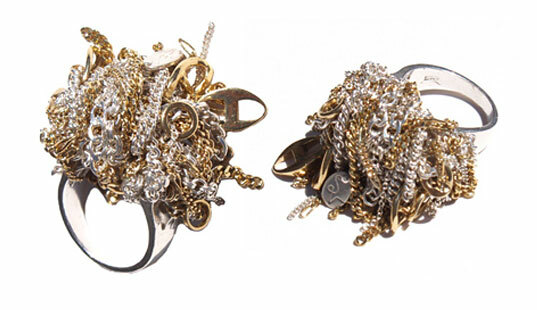 Our precious accessories often end up lying around everywhere, tangled up in a mess or misplaced. Unfortunately, those statement necklaces and chunky bracelets don’t always fit in standard jewellery boxes. This means we need to get creative with storage ideas. 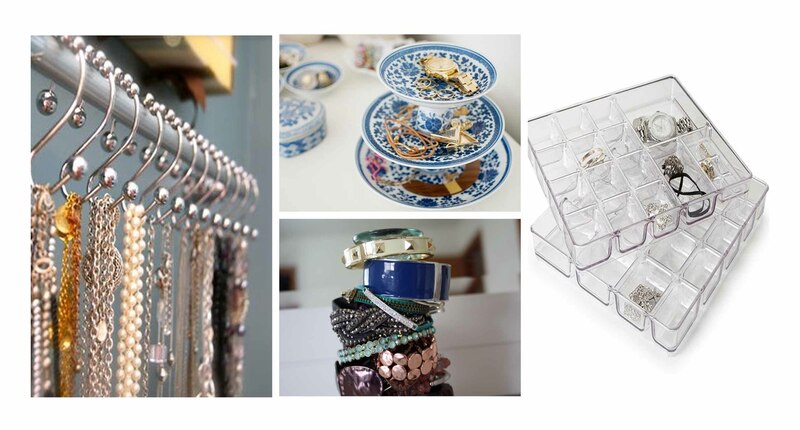 Here are some ways to organise your jewellery and put your baubles and bling on display. pretty bowls or teacups to keep your small jewellery in. 2. Use trays of assorted sizes or even sturdy shoe box lids to organise your jewellery. to create a small tower to place on a dresser or insert into a drawer. decorative on top of a dresser. gets their own space. 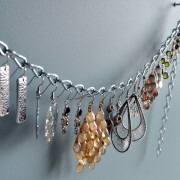 No more spending hours untangling necklace chains!